Copper bonded rods are made by molecularly bonding pure electrolytic copper onto a low carbon high tensile steel rod. 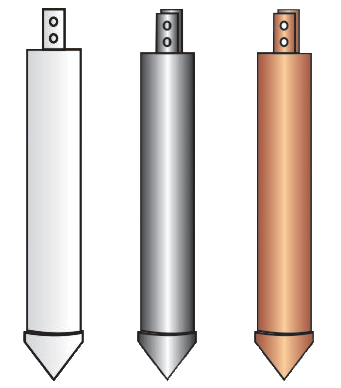 Externally threaded on both ends for connecting with other rods for deeper installation. Rod ends are chamfered so as it can be driven into the soft soil. We can provide extension coupler, Tape to rod clamp for the above models as required. These rods can be supplied without threading also. Exothermic weld material can be supplied for equipotential bonding. Specially Coating of Zinc, Alloy, Copper etc., can be provided as per desired thickness starting from 100 Microns and above to a maximum technically feasible thickness. 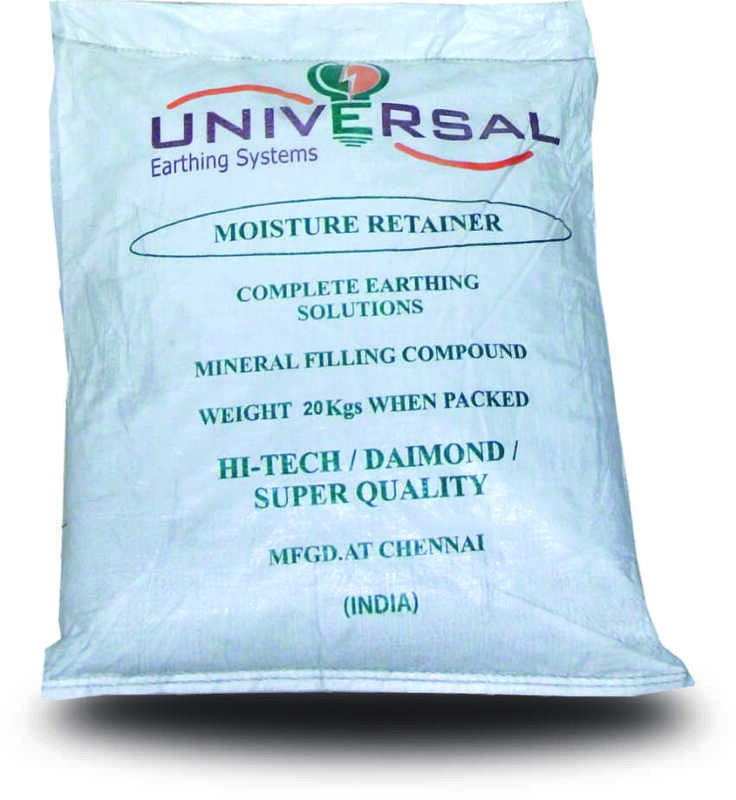 The Basic Purpose of the MINERAL FILLING COMPOUND is to reduce UES ELECTRODE to soil contact resistance and create a low resistance Zone surrounding the UES to provide a uniform environment so that electrode output is constant. We Recommend 1 BAG for 2 MTRS. ELECTRODE and 2 BAGS for 3 MTRS.ELECTRODE in good Soil condition. UES Brand Earthing Electrodes are based on strips implementation yielding more cross-sectional primary conducting area & more surface area. © 2019 Universal Earthing Systems Pvt. Ltd. All Rights Reserved.